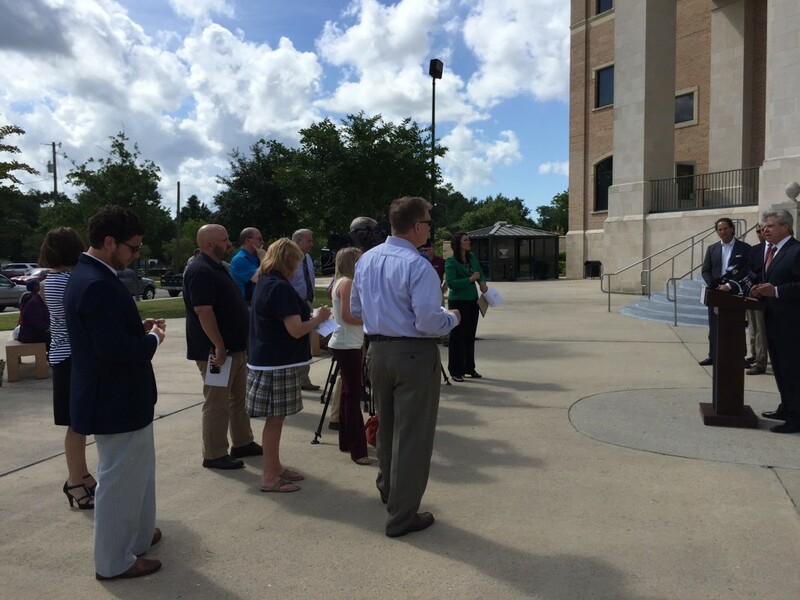 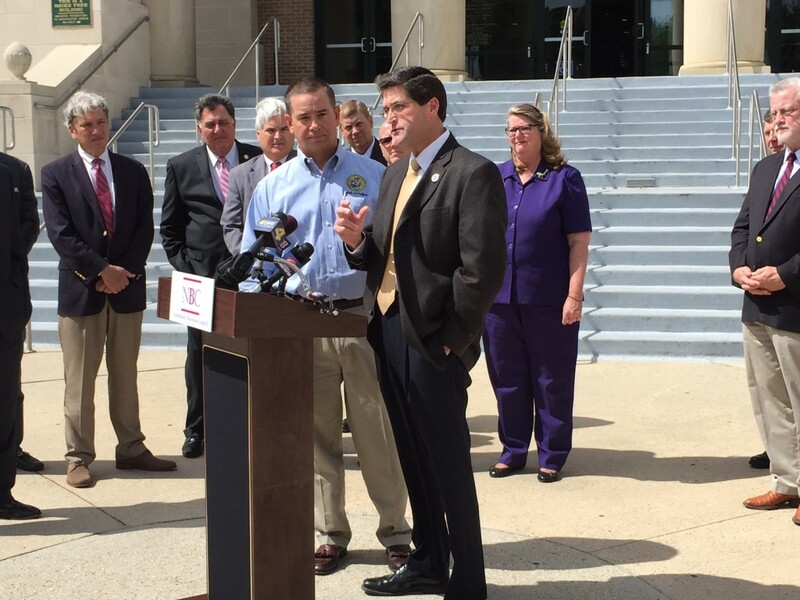 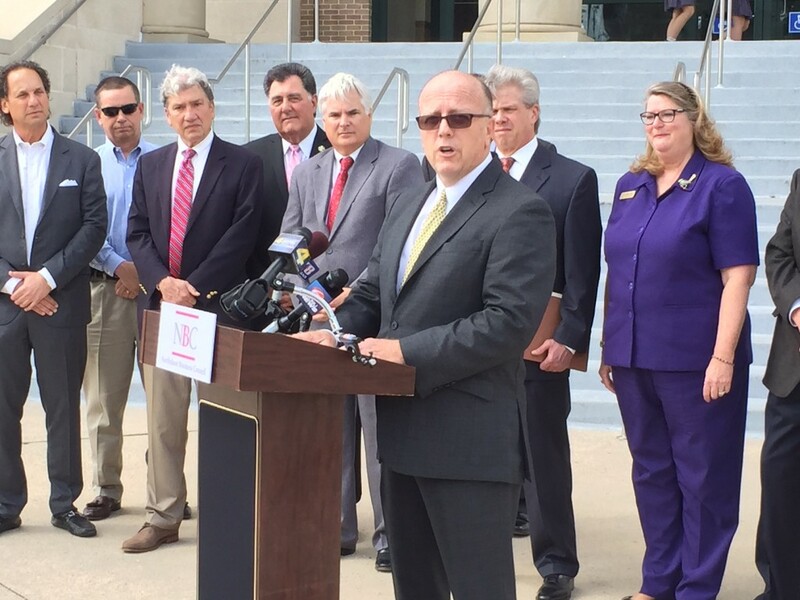 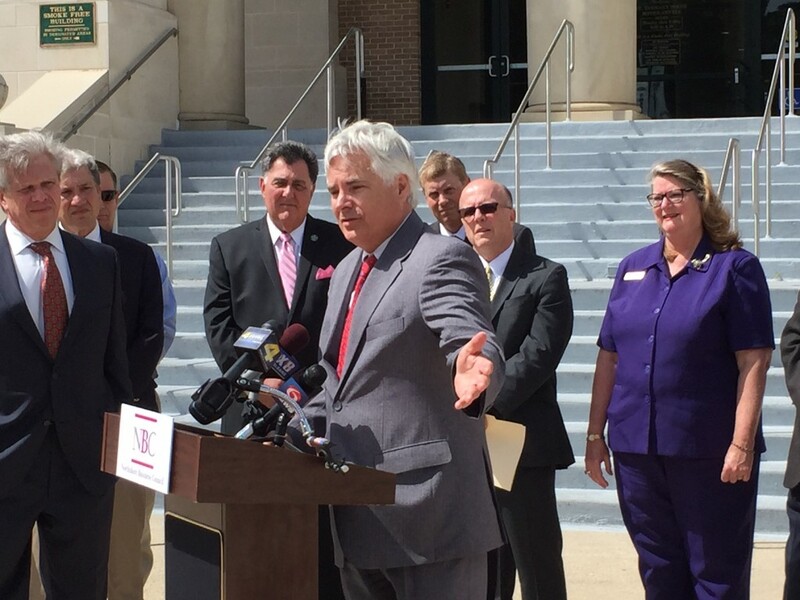 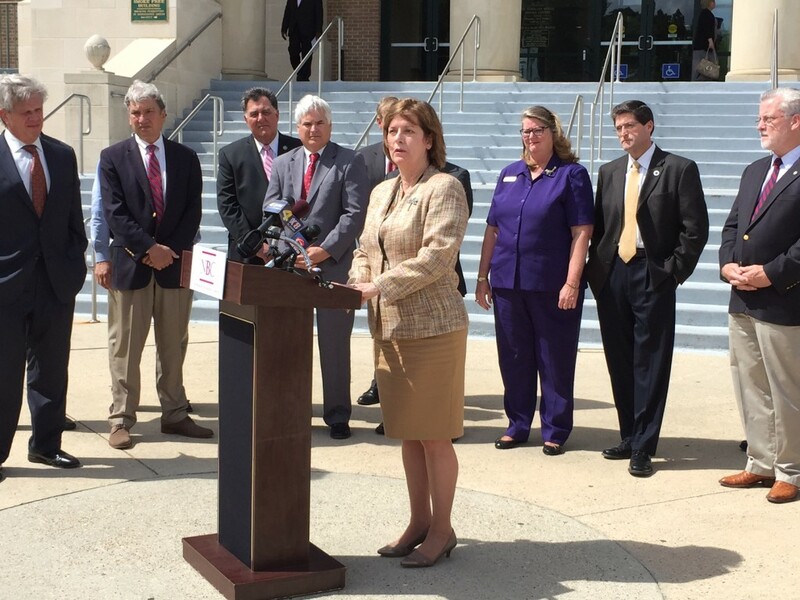 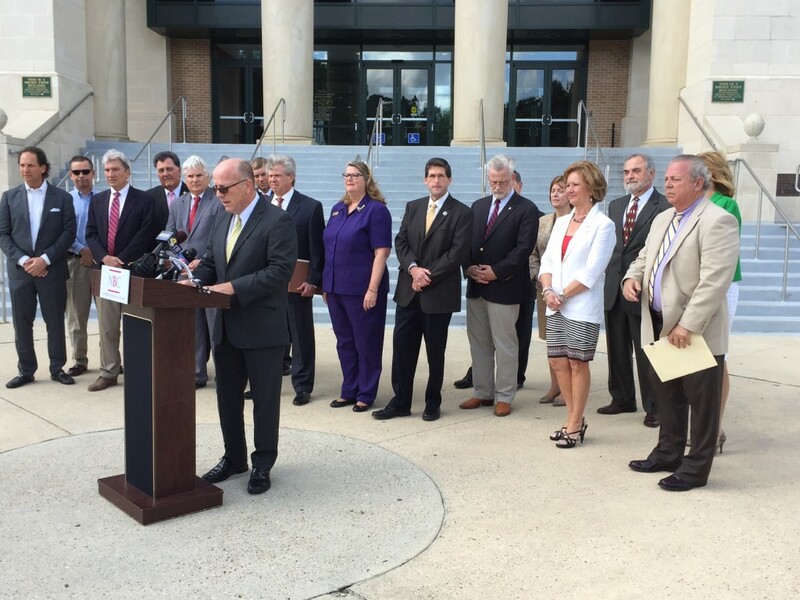 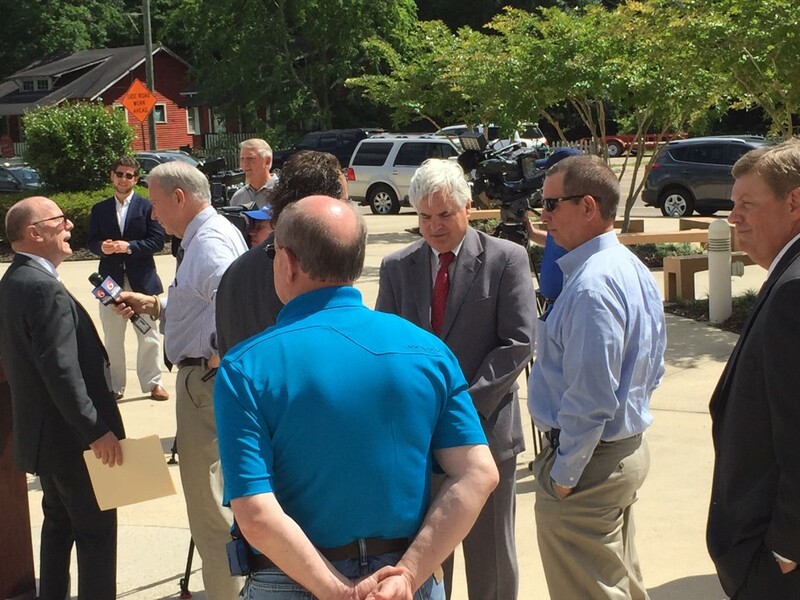 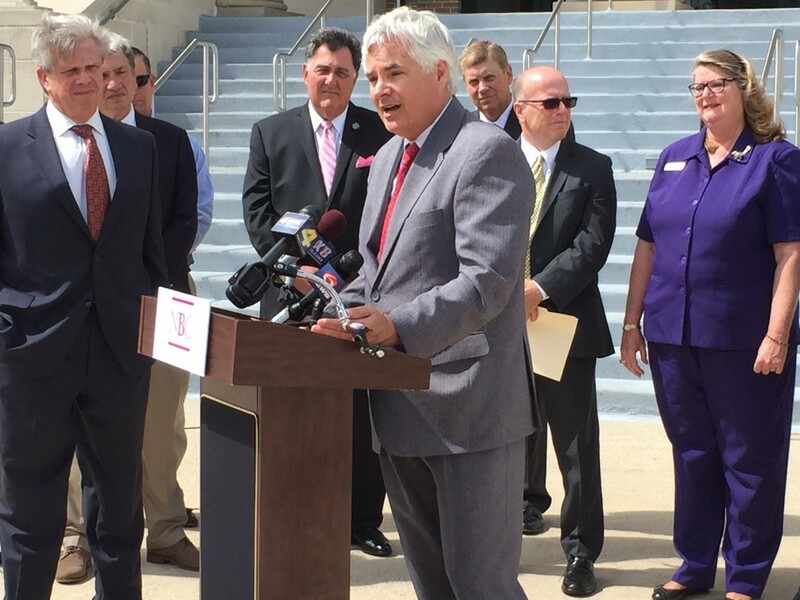 District Attorney Warren Montgomery joined other St. Tammany Parish justice system officials in a press conference Wednesday (May 6) as the Northshore Business Council and Metropolitan Crime Commission announced a yearlong study of the criminal justice system in St. Tammany and Washington parishes. 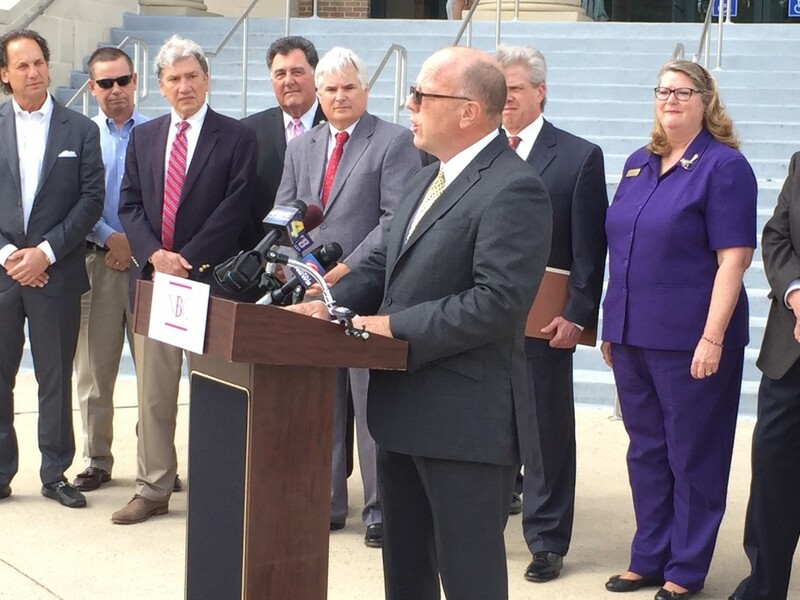 Metropolitan Crime Commission President Rafael Goyeneche said his organization will conduct the study, called the St. Tammany Parish Criminal Justice System Accountability Project, for the first time in St. Tammany to provide valuable information about how the system is working. 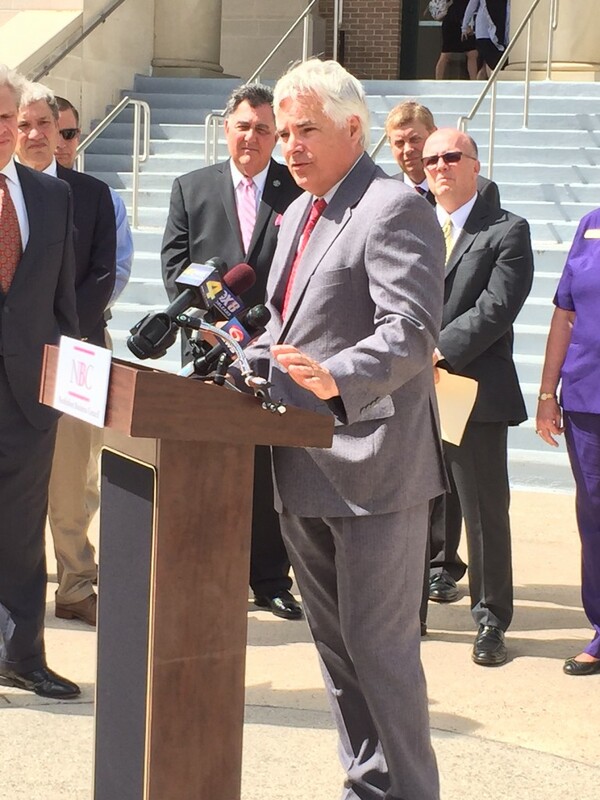 He praised the array of public officials, representing every area of the justice system, for standing with him to support the study. 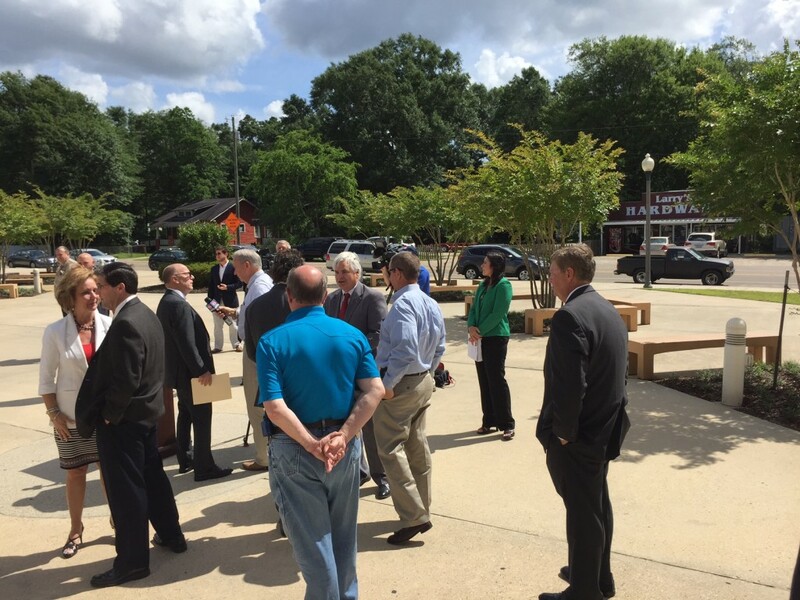 Montgomery said he is thankful to the Northshore Business Council, a group of area business leaders, for financing the study, which is expected to cost $100,000 the first year. 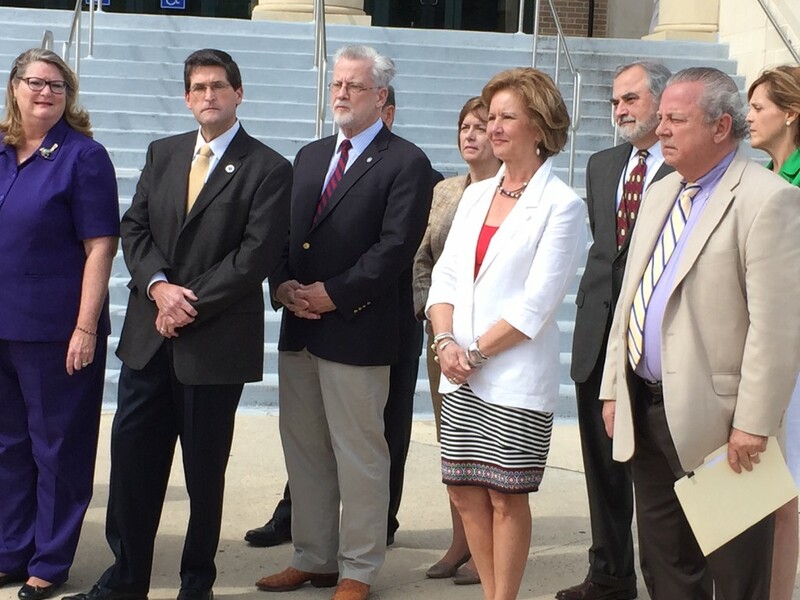 He said he also is excited about the wealth of information the study will provide. 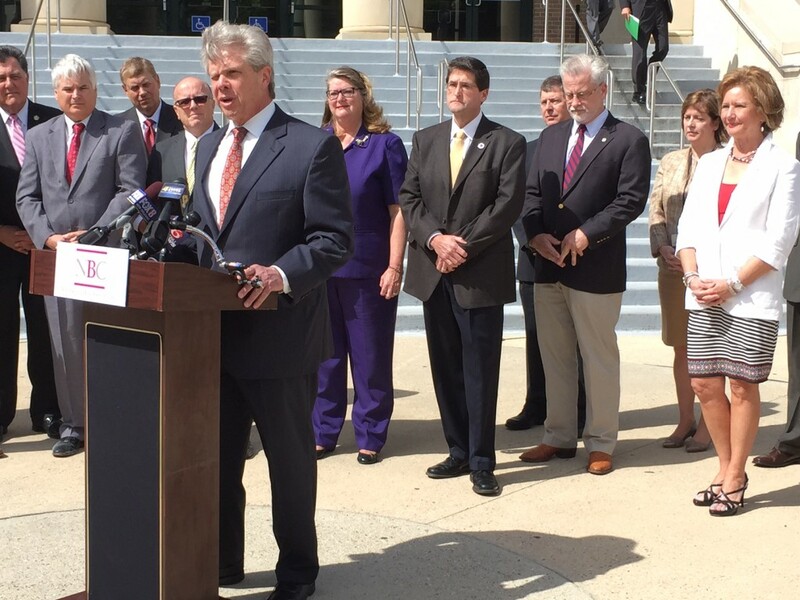 The study will follow every 2014 felony case from arrest to resolution, examining the performances of the offices of the Sheriff, District Attorney, Clerk of Court, and the judiciary. 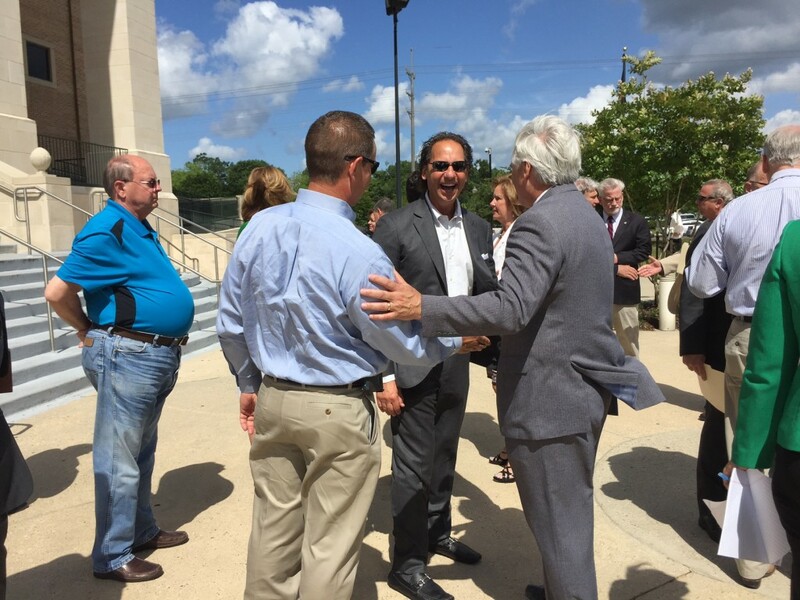 Goyeneche said all of the public agencies have agreed to open their records for the project.